Iran prepared to block traffic and navigation app Waze because it was created in Israel, according to media reports. The app was briefly blocked in the country in March, because it “raised concerns”, though the ban was soon revoked. Now Abdolsamad Khorramabadi, secretary of the ‎Committee for Determining Criminal Web Content, said it wants the Information and Communications Technology Ministry to block the app. However, the action requires time because Waze “uses infrastructures that are time-consuming to stop,” Trend News Agency reported. Iran’s semi-official Fars News Agency recently said the Israeli background of Waze raised concerns about the consequences of its usage. Trend News Agency added Iran’s judiciary previously ordered local Android marketplace Cafe Bazaar to remove Waze. Cafe Bazaar declined to comment on the news when approached by Mobile World Live (MWL). “We urge Iran to review their stance and comply with its own national law and the International Covenant on Civil and Political Rights, to which it’s a signatory, and allow Iranians full access to all information and technology that’s available to the public,” he added. 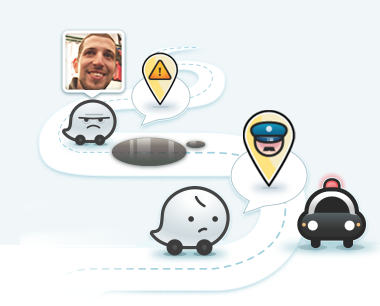 Waze claims to be the world’s largest community-based traffic and navigation app and was acquired by Google in 2013. Earlier this year Apple and Google both removed Iranian apps from their app stores, citing US sanctions as the reason. Iran’s new telecommunication minister said in August he wants to take legal action against Apple.